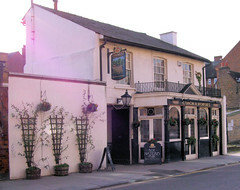 Young's pub in Barnes. Has a beer garden and a bookable function room. Food served all day, according to the 2007 Good Beer Guide. Opening hours taken from the 2007 Good Beer Guide. Last edited 2013-05-10 06:57:08 (version 11; diff). List all versions. Page last edited 2013-05-10 06:57:08 (version 11).